Every single year, I fall in love with fall. I know exactly what the season entails, what change the landscape will bring, and I still find myself in amazement. Our world is so beautiful. Fall shows off just how beautiful it really is. Fall is like that awesome mascara that takes you from zero to hero. Or that really great blouse that automatically makes you feel great. Fall is the ultimate enhancer. 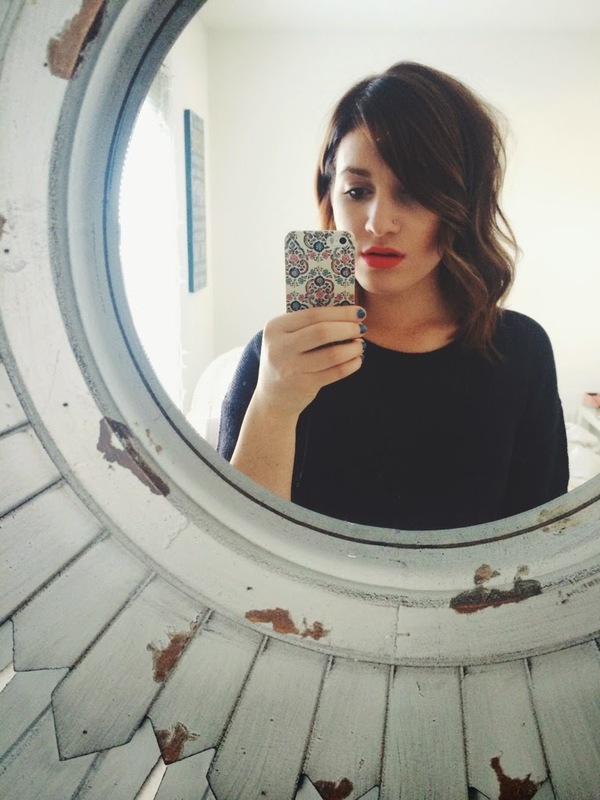 Today, I'm going to talk about my favorite fall styles and great places to shop. 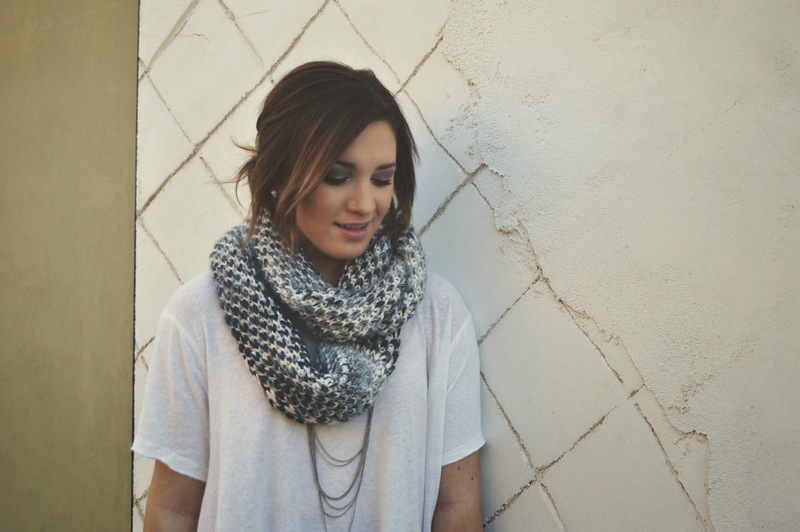 If there was ever an accessory that makes everything look instantly more polished, it's a scarf. In this photo, I am wearing one from Old Navy, and it was $9. I also love getting scarves from Nordstrom Rack, Dillard's, and Target. 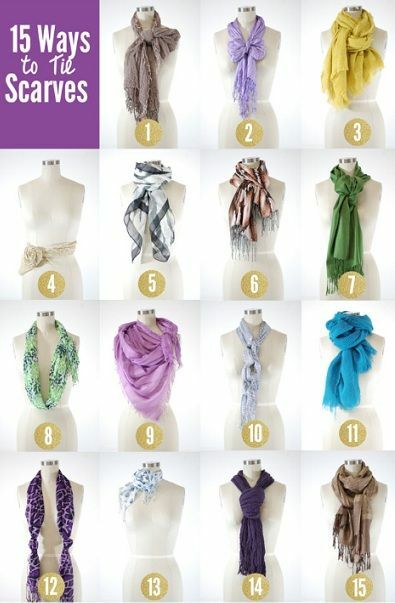 There are also so many ways to tie scarves to mix up your look. I attached this awesome chart via Pinterest for more inspiration. 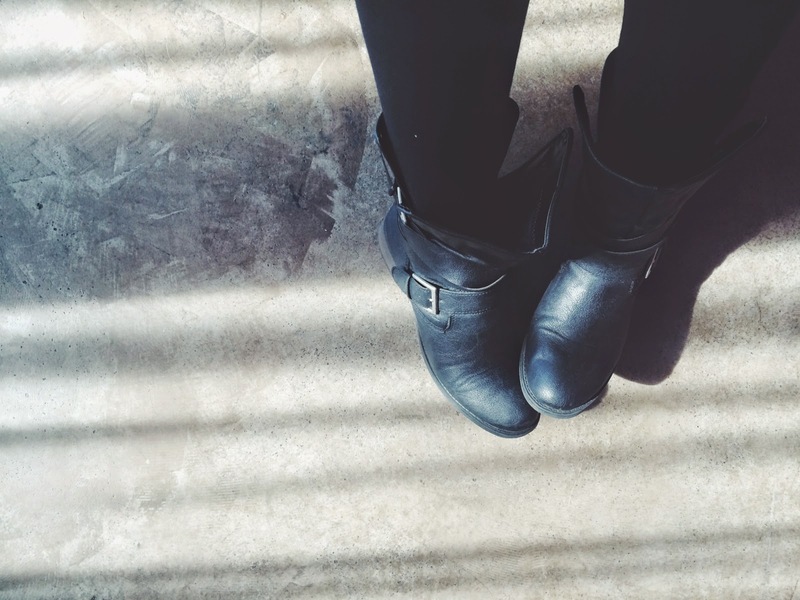 I love wearing boots because they are so comfortable and versatile. My newest obsession is wearing them with tights and rompers, skirts, or dresses. In this photo, the romper I have on was $10 from Aeropostale. My boots are DSW, $60, and my tights are from Target. The most important part when pairing with boots is making sure you are adding length to your legs and not making them look stumpy. I do this by making sure the tights are dark, to create more of an illusion that I have longer legs. Also, if you have bigger thighs and hips and you want to wear short boots, like combats or booties, make sure they are loose around your ankle. If they are too tight, it looks unbalanced. You can loosen that shoe laces on combats, and opt for booties that have a roomier ankle. (See pic below.) It's a bad idea to pair really light jeans with dark boots. I have also learned that splurging on boots is well worth it. I mean, you're wearing that for multiple months out of the year. That being said, you can still find really great boots at a discounted price. Steve Madden's "last season" boots are always at Ross for nearly half the price. Also, Kohl's carries some great new brands like Lauren Conrad's collection, Simply Vera, and Candies. 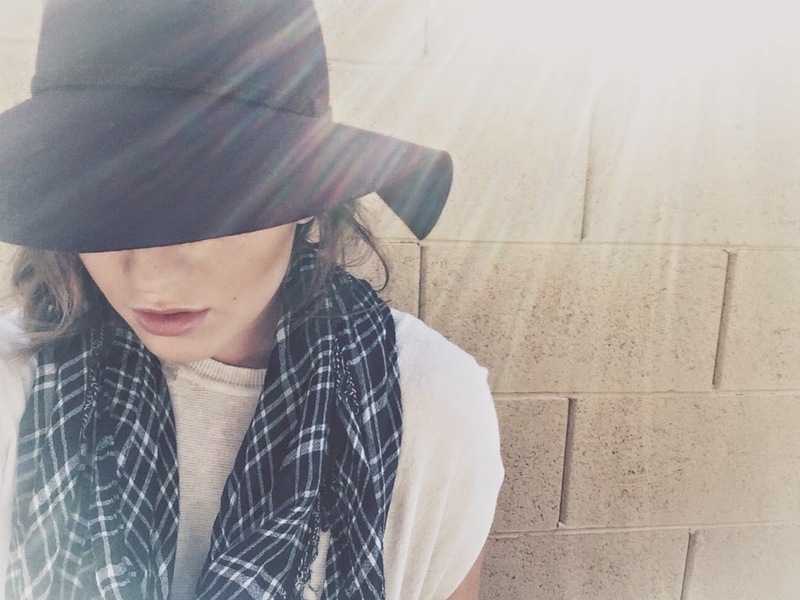 My struggle is in finding floppy hats. And I found one! This one is from Macy's and is $30. For most this would fit just fine. If you do have a big head like me, (comment below, I want to know who you are), lightly wet the inside brim of any felt hat with a rag and wear it on your head for an hour. Felt is pretty stretchable, and it's conform to your head size. Sure, your head will hurt while you try to stretch something that wasn't made for you. Beauty is pain, people. It's why we jump while putting on our skinny jeans. 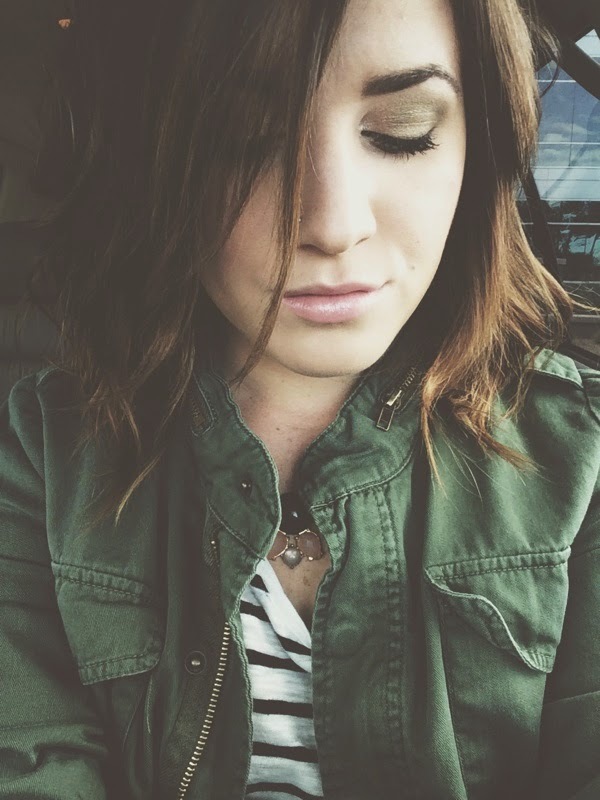 These jackets are so versatile and olive green is a color that compliments nearly all skin tones. For school and running errands, I'll pair my jacket with boyfriend jeans and a graphic tee. For work, I'll put a cream blouse on underneath, or a statement necklace and do dark skinny jeans and heels. I bought this one from Marshall's last season, for $40.